All of our Commercial Driving Programs for Classes 1, 2, 3 and 4 licenses are fully-certified and recognized courses that equip you for an exciting and rewarding career that is continuously in demand – and in as little as 1-4 weeks! You will graduate from our programs with more than just an upgraded license – you will have all the knowledge and technical skill necessary to quickly obtain a challenging and rewarding job. You can learn to drive practically anywhere. 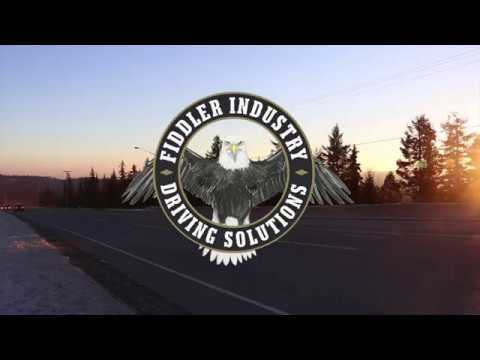 At Fiddler Industry Driving Solutions, we’ll teach you to be a driver in demand! All Class 3 Driver Training Packages include use of our vehicle for the road test. Class 3 Driver Training Sessions consist of approximately a 2-hour lesson, with the exception of the road test, which is 3-hours in length: 1 hour reserved for a warm-up prior to the test, and then 2 hours for the test itself. All Commercial Driver Training Packages are eligible to receive a complimentary Air Brake Course and up to 52 various certification courses, including but not limited to: TDG, WHMIS, Practical Cargo Securement, Defensive Driving, Fire Safety, HOS/logbooks, Fuel-efficient Driving & Lift Truck Operator Certification. In addition to all of these benefits, all Driver Training Packages are eligible for our customized payment plans to suit your needs and budget. Contact us today to qualify for an individualized payment plan to enable you to fulfill your Driver Training needs now! We do have some flexible financing options available in-house. Additionally, various non-profit organizations throughout British Columbia offer sponsorship for vocational training. Feel free to contact us by phone or come by and see us and we will be happy to help you find a reasonable solution to making your dream career a reality!